It’s good news: The leftfield dance scene in Zürich is getting more interesting by the day. Something is afoot in the little big Swiss city. Marc Hofweber aka Hove is one of the most promising names to emerge in the past two years. 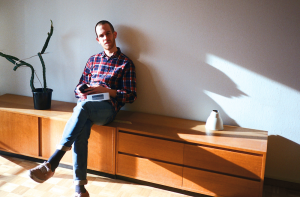 A crate-digger since his teenage days, Hove knows his way around the global clubbing circuit from a career as part of Round Table Knights, a hotly billed Swiss electronic music act. 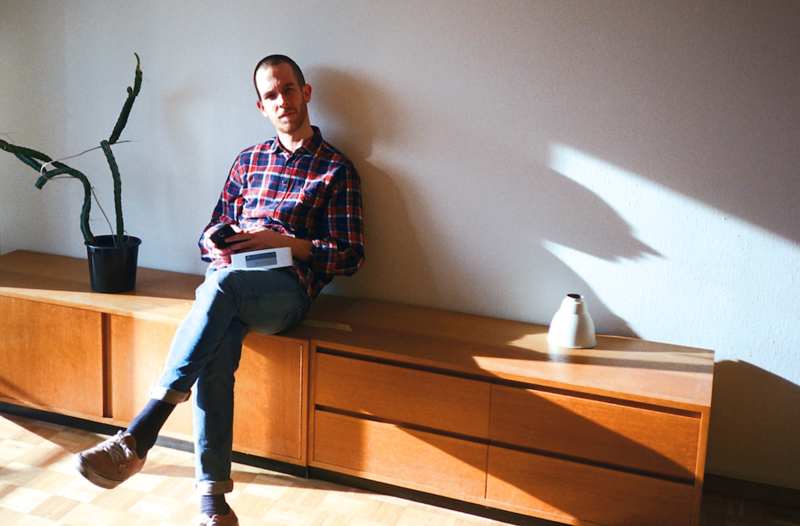 With his partner Le Frère, Hove releases Swiss made Balearic-not-Balearic records on their label Light of Other Days. Fusing his own sensibilities as a producer, Hove came up with this slow burning mix: Soaring synth vibes, electro funk, italo, ambient, a touch of wave and exotica. It achieves no small thing: it takes us closer to the sun. I recorded it live in our nice little studio house in Zurich on two turntables and two CDjs. The selection comprises both tracks that I played out a lot recently in my sets plus some new discoveries of weird and beautiful electronica and ambient music. Which sounds like an apt description for the kind of music you release on your label Light of Other Days. Yeah, there is one track in the mix that is an exclusive from our next release on Light of Other Days. I just got the finished master of the EP the other week. It’s from an artist from Basel called Miajica. The EP he did for us is amazing. It’s three tracks of really nice balearic disco vibes. It should be out by beginning of June. There are quite some Swiss productions in your mix. Only after I recorded it, I realized I put quite some tracks from Swiss artists and labels in there. There is more and more good stuff happening in Switzerland right now. What role does Light of Other Days play in this? One of the most beautiful aspects of doing my label Light of Other Days is getting to know all these interesting and motivated people that really care about music and art. It’s nice watching this community grow and being an active part of it. Besides the EP from Miajica, we are working on a remix EP. We thought it would be nice to reach out to people slightly beyond our inner circle and ask them to do a remix. This record will feature remixes by Jack Pattern, Unknown Mobile, Michal Turtle, Lexx & Kejeblos and more. I think it’s going to be an amazing record. We’re revamping our website and our graphic concept in the next few weeks, too. And be sure to expect some nice mixes ready for our ongoing Podcast Mix series on Soundcloud. I LIKE TO DISCOVER WEIRD AND BEAUTIFUL ELECTRONICA AND AMBIENT MUSIC.